I have been working on these card for quite a few days now. I had this idea a long time ago but never really worked on it. When I saw that the theme for the Gallery Idol open auditions was Birthday card for kids and teens, well, my first thought was…ah oh…this is tough..I never make Birthday cards! After some time, I remembered this idea and decided to work with it. The top circle is Neenah Solar white card stock, but there are 9 60lb weitght paper circles underneath it to make it thick enough for the ribbon to go around it. The zebra print is embossed in black, and the number 13 is puffed up liquid applique. This was by far the easiest to make. 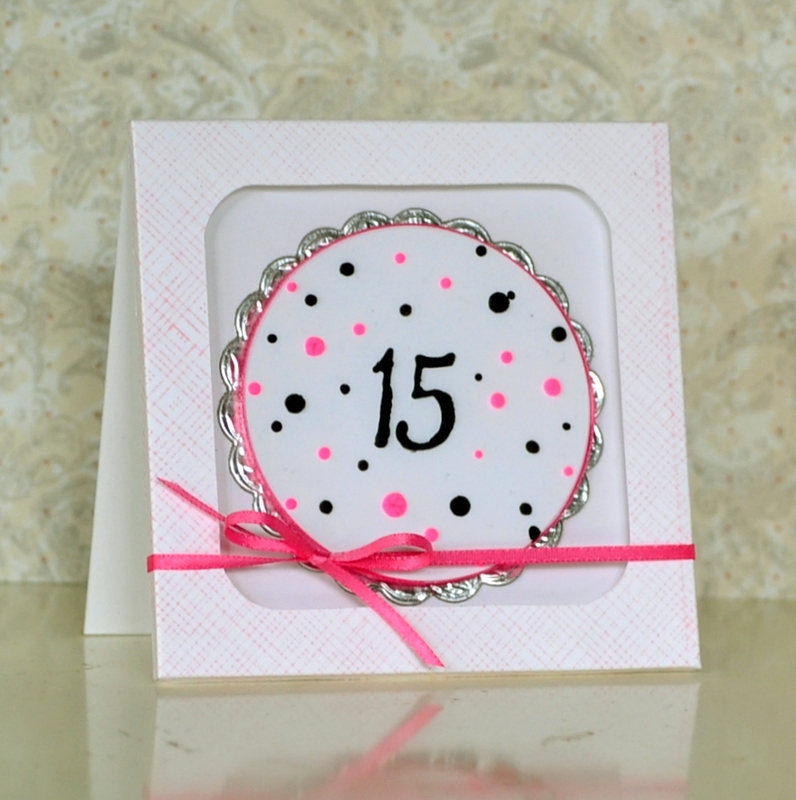 I simply stacked 5 pink car stock circles, and decorated the top with a crown and pearls. Notice I stamped the Hero Arts Envelope pattern on the top of the box. In case you couldn’t tell, all the boxes have a clear cover. 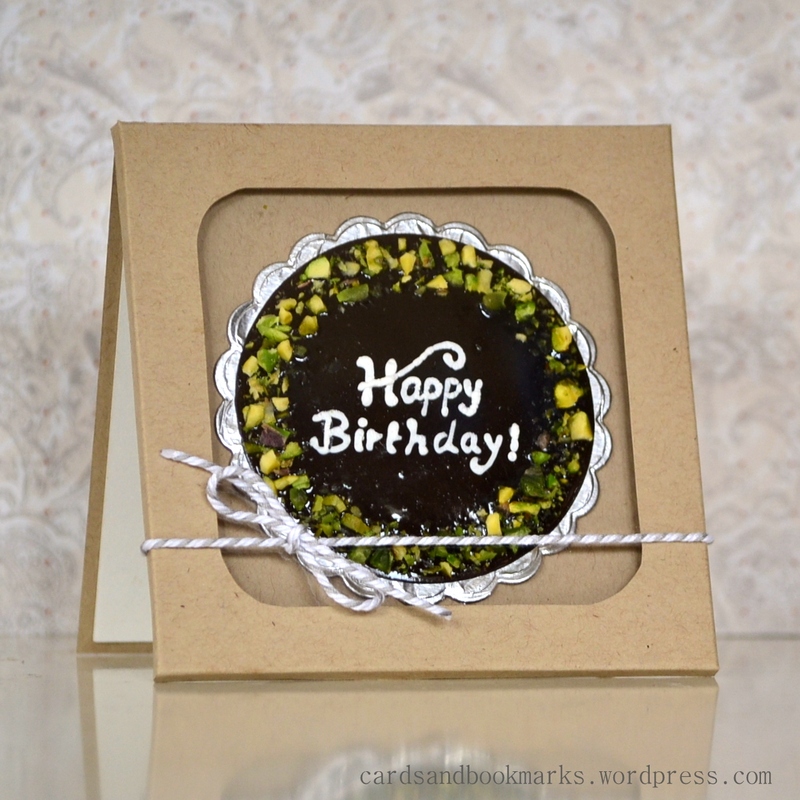 Chocolate frosting with sprinkled Pistachio, yam yam 🙂 I applied glossy accent on the chocolate paper and sprinkled crushed Pistachio around the edge. Once the glossy accent was dry, I wrote the sentiment with white liquid applique. The pistachios are the perfect touch and how professional to add the videos! Thanks! Wow, these are amazing – FABULOUS JOB!! I really loved your creative journey through these Tasnim! Sometimes we just have to keep going until we’ve tried all our possibilities! 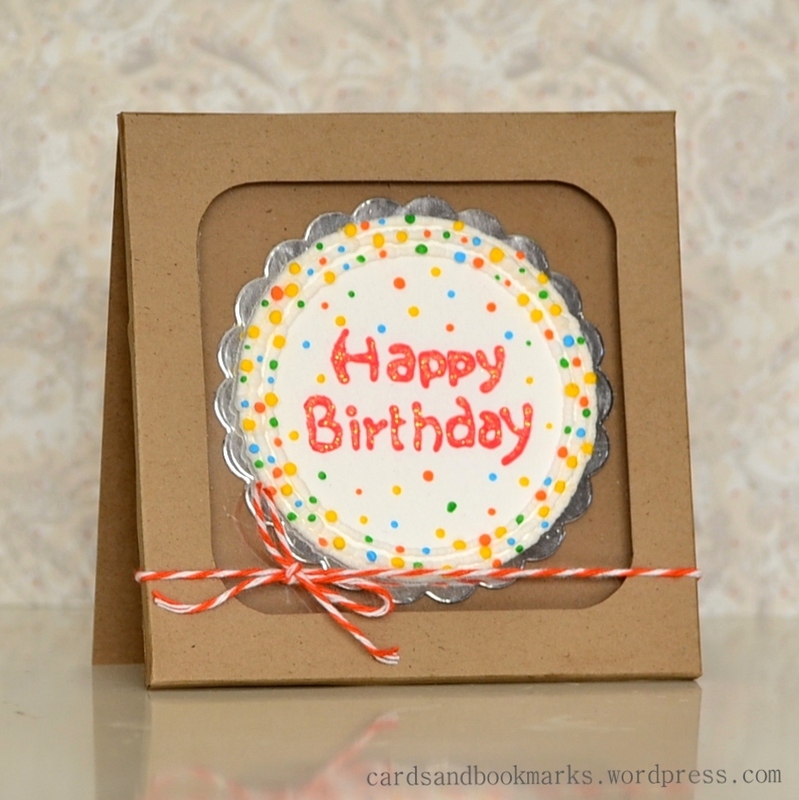 My favourite one is definitely the first – totally feels like a homemade/decorated birthday cake to me! Such a clever and fun idea, I’m so glad that you finally were able to make these, isn’t it funny how these ideas just stay until you finally get a chance to make them real. I love this idea, the first one with the sprinkles looks so real!